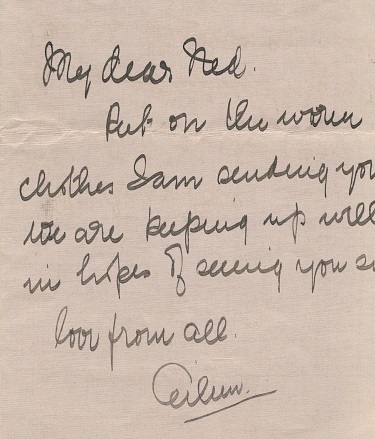 Letter from Eileen Daly to her brother Ned Daly in prison before his execution. 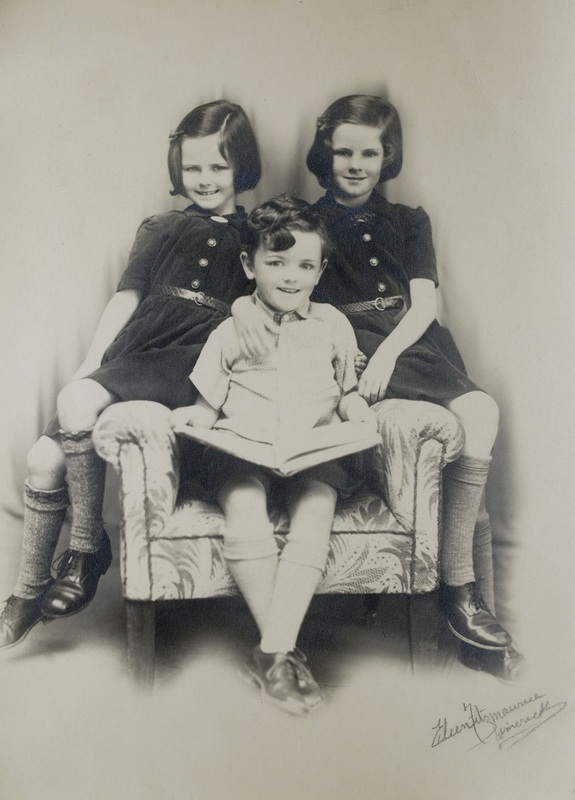 In October 2013 a series of photographs which were found in a box belonging to Pan American pilot, Frederick Valentine Thompson was shared with Limerick’s Life in an attempt to discover the names of these young children in Limerick in the 1940s. Three years passed with little new information on the names of these children, then in June 2016 a link to this post was noticed on the Limerick’s Life facebook page, the face of the little boy Brian was recognised by his now adult daughter while she was looking for information on the original photographer. Eileen (also known as Aileen) and Edward O’Toole both passed away in Limerick and were buried in Mount Saint Lawrence Cemetery. Brian’s parents John Daly O’Toole and Angela Hennelly were married in University Church, Stephen’s Green, Dublin on the 5 December 1934 with Angela’s brother the Rev. M. F. Hennelly officiating and Jphn’s brother Eamon acting as bestman. Their reception was held at the Gresham Hotel with fifty guests present. At the time John was the managing director of the Claremorris Bacon Factory. In 1945, Brian and his mother traveled on board a Clipper flying boat out of Foynes. The Clipper (model 314) first flew across the Atlantic on the 28 June 1939, there was room on board for ten crew members and 74 passengers. 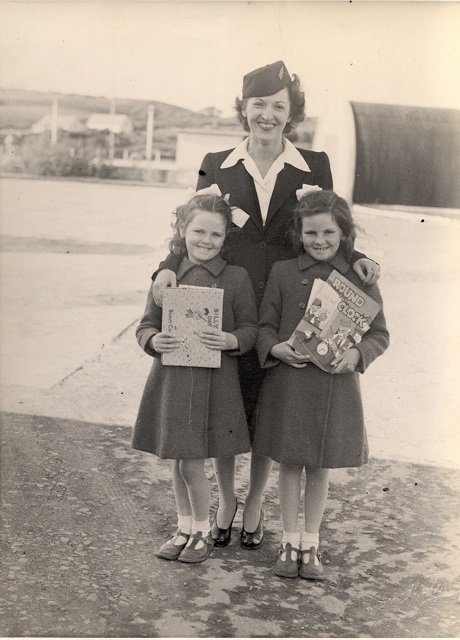 While his sisters traveled on a separate flight as travel was restricted post World War II. 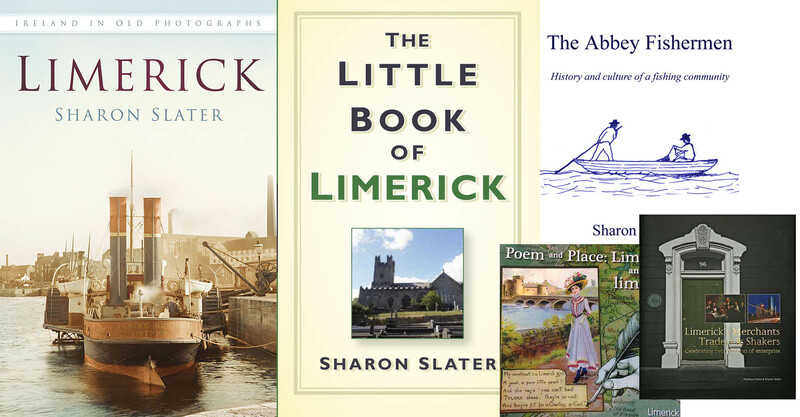 The family though living in New York, USA from the 1940s on they returned to Ireland and Limerick several times. 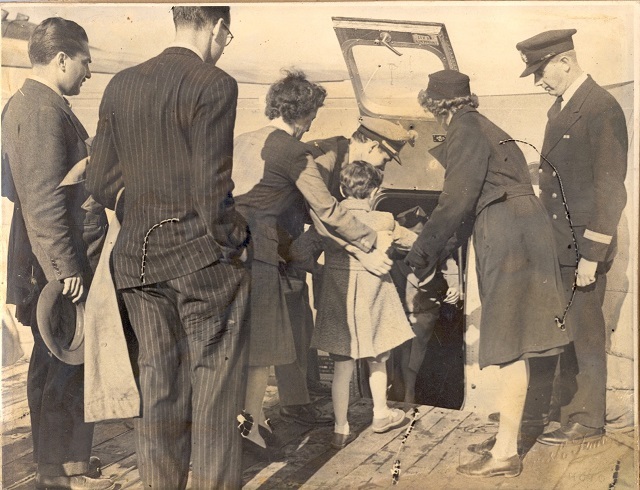 Angela and Brian O’Toole getting onto flying boat to USA in 1945.